Sunday saw Newport Jazz Club open it's doors to young island talent with sets JukeBox Jazz and young sax player Oli Morris in a concert sponsored by Newport Parish Council. JukeBox Jazz started the concert with a 15 number set opening with the very appropriate "Sunny side of the street" before taking us on a musical journey to "Coconut island" before changing the clocks for "Midnight in Moscow". 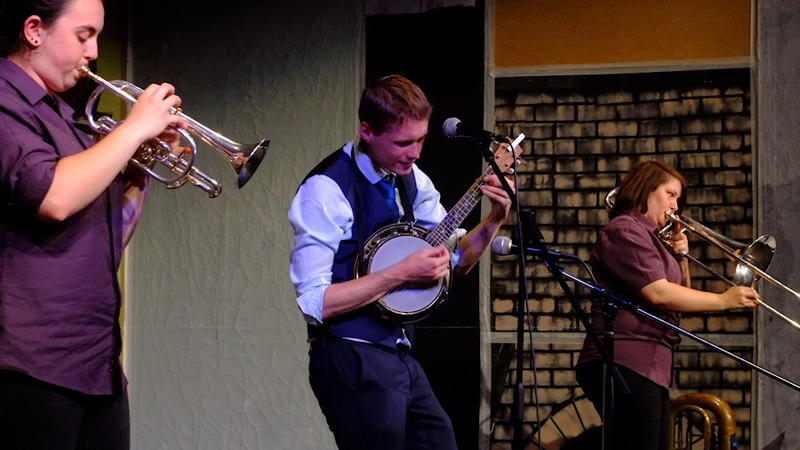 Feet were tapping to "King of the swingers" before the set closed with "Big, bad Leroy Brown". 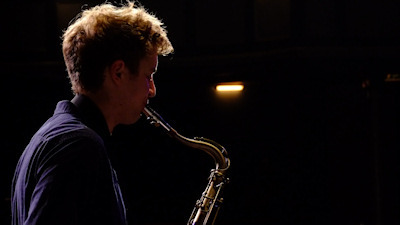 After the interval it was the turn of young sax player Oli Morris who was supported by the Jim Thorn trio with whom he has played previously at the hugely successful monthly Quay Arts jazz jam nights. Opening with Lee Morgan's "The sidewinder" we were treated to a set of "cool" jazz standards before, appropriately for father's day, Oli closed with Horace Silver's "Song for my father". Many members of the audience later said how much they had enjoyed this display of young local talent and I am sure we will be hearing much more from both artistes as the future of jazz on the island has a secure footing.